It’s time for another fine edition of the Et Cetera of Sports Media, we have updates & the latest news going on in the world of Sports Media for now, the fall & even next winter. Tony Romo will become CBS Sports’ lead NFL game analyst beginning with the 2017-2018 NFL season. The announcement was made today by Sean McManus, Chairman, CBS Sports. Romo, who played for 14 years with the Dallas Cowboys, will join Jim Nantz and Tracy Wolfson on the lead announce team for the Network’s coverage of THE NFL ON CBS on Sunday afternoons and Thursday Night Football. The full list of NFL ON CBS announce teams for the 2017-2018 season will be released later this summer. In addition to his critically-acclaimed Olympic work, Costas has won 27 Emmy Awards – more than any sports broadcaster in history. He is the only broadcaster to have won Emmy Awards in sports, news and entertainment (for his late-night program Later with Bob Costas). Costas’ versatility has been recognized with Emmy Awards or nominations for play-by-play, hosting, interviewing, writing, feature reporting and commentary. His career is simply one of the most significant in the history of sports broadcasting. Costas’ now 37-year association with NBC will continue as he will have noteworthy roles in NBC Sports and NBC News programs. Tirico, who joined NBC Sports Group in July 2016, has had a whirlwind first seven months with the company. In addition to his role in Rio, he has served as host of Football Night in America, the most-watched studio show in sports, as well as The Open and The Ryder Cup, and Breeders’ Cup horse racing. Tirico also handled play-by-play for Sunday Night Football, Thursday Night Football, and Notre Dame Football. LOS ANGELES, CA – Two-time MLB All-Star catcher A.J. Pierzynski joins the FOX Sports broadcast team full-time for the 2017 FOX MLB season, it was announced today by FOX Sports President, Production and Executive Producer, John Entz. Hired by FOX Sports initially to be an analyst for the 2011 MLB postseason, Pierzynski joined the FOX Sports team again in 2012, 2013 and 2015. In 2017, Pierzynski will provide game analysis, as well as make regular appearances on FS1’s MLB WHIPAROUND. 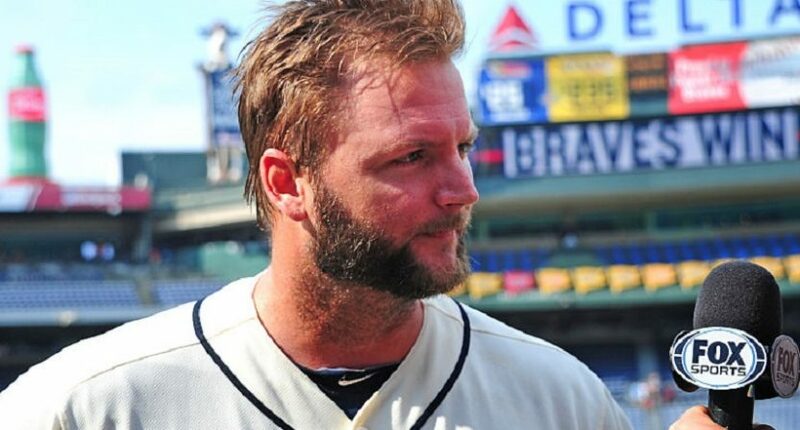 A career .280 hitter with more than 2,000 hits, Pierzynski began his major league career with the Minnesota Twins in 1998, also playing for the San Francisco Giants, Chicago White Sox, Texas Rangers, Boston Red Sox, St. Louis Cardinals and Atlanta Braves. A two-time MLB All-Star (2002, 2006), the left-handed hitter won a World Series title with the White Sox in 2005 and garnered the Silver Slugger Award in 2012. Pierzynski joins a 2017 FOX MLB team that has signed several former players over the last several weeks, including Alex Rodriguez, Nick Swisher, Pete Rose and Frank Thomas. 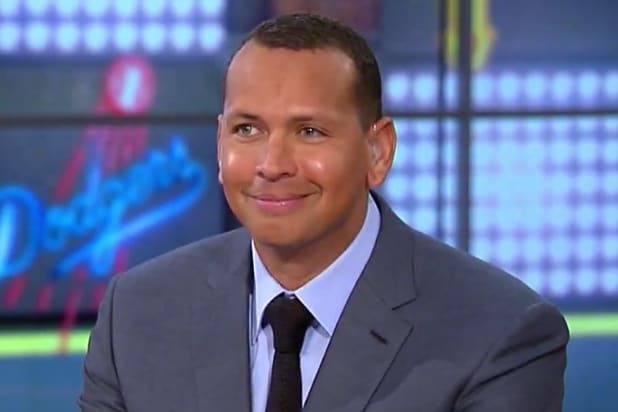 NEW YORK, NY – Fresh off working as a guest studio analyst during FOX Sports’ coverage of Major League Baseball’s historic postseason run in 2016, World Series Champion and three-time American League Most Valuable Player, Alex Rodriguez, joins FOX Sports, as a full-time analyst. The announcement of Rodriguez’s multi-year deal with the network was made today by John Entz, President of Production & Executive Producer, FOX Sports. In addition to reprising his role as FOX MLB studio analyst, Rodriguez expands his broadcasting responsibilities to serve as a game analyst for select FOX MLB SATURDAY telecasts as well as feature reporter for FOX’s MLB pregame coverage and FS1 studio show MLB WHIPAROUND. Rodriguez made his broadcasting debut during the 2015 World Series as a guest studio analyst for FOX Sports, immediately earning praise as a first-time broadcaster. During the network’s coverage of the 2016 MLB postseason, Rodriguez, along with analysts Pete Rose and Frank Thomas participated in a compelling and candid conversation in which they revealed some secrets to hitting in the big leagues. A 14-time All-Star, Rodriguez owns a lifetime .295 batting average and has collected 3,115 hits (20th all-time), 696 homeruns (4th all-time), 2,086 RBI’s (3rd all-time), and 25 grand slams (1st all-time) in 2,784 games played. He has made 12 different trips to the postseason and appeared in 76 playoff games, highlighted by 2009, when the New York Yankees beat the Philadelphia Phillies to claim the franchise’s record 27th World Series title. Rodriguez played his final game as a New York Yankee in 2016, before taking a job with the team as a special advisor and instructor. 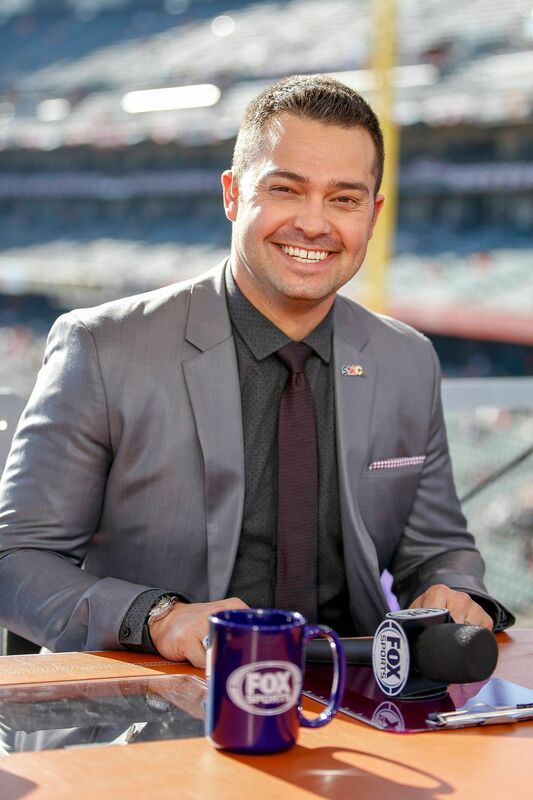 NEW YORK, NY – World Series Champion and Major League Baseball All-Star, Nick Swisher, joins FOX Sports as a studio analyst for the 2017 season. The announcement was made today by John Entz, President of Production and Executive Producer, FOX Sports. Recently retired, Swisher, a fan-favorite with an infectious personality throughout his 12-year playing career, makes his 2017 debut on FS1’s MLB Whiparound this April and appears regularly as a studio analyst during FOX Sports’ pregame coverage on Saturdays during the regular season. Swisher made his first ever appearance as a studio analyst during FOX’s World Series coverage in 2014. “I’m super excited for this new chapter and can’t wait to get out to the FS1 studios in a few short weeks,” said Nick Swisher. Swisher announced his retirement today via a post to the Players Tribune and on his twitter account @NickSwisher. Drafted 16th overall in 2002, Swisher’s successful Major League career spanned across five different franchises: Oakland Athletics (2004-2007), Chicago White Sox (2008), New York Yankees (2009-2012), Cleveland Indians (2013-2015) and Atlanta Braves (2015). Swisher was selected to the American League All-Star team in 2010 as a member of the New York Yankees, where he played an integral part in earning the team’s record 27th World Series title in 2009. Swisher finishes his career with a .249 batting average, 803 RBIs and 245 homeruns. In a rare in-season move, ESPN has named SportsNation’s Michelle Beadle as the full-time host of NBA Countdown on both ABC and the Mothership. Not only will Beadle host the rest of the regular season, she’ll be the host of ESPN’s NBA Playoff coverage all the way through the Finals in June. She takes over for Sage Steele’s portion of programs immediately. Beadle will host the remaining NBA Countdown shows, including this Saturday’s primetime game on ABC. She will continue to be a co-host on SportsNation during the week. Beadle will take over the NBA Countdown on ABC shows that Sage Steele hosted. Steele, who will part of ESPN’s coverage of The Masters this week, will transition to a full-time host of “SportsCenter on the Road” segments. In Steele’s new role, she’ll travel across the country to various sporting events to front ESPN’s SportsCenter coverage. Back in September, Beadle was named as a host of Countdown to split duties with Steele. Beadle was initially hosting on Wednesdays and Fridays, while Steele hosted the ABC portion on Countdown on weekends. Now, Beadle will work all NBA Countdown shows on both networks for the foreseeable future. Add CBS to the list of NFL television rightsholders that will have a different cast on their main NFL studio shows this fall. SI.com has learned Tony Gonzalez is leaving The NFL Today after three years with the network. CBS hired Gonzalez—a soon-to-be Pro Football Hall of Famer who played 17 seasons at tight end with Kansas City and Atlanta—in February 2014 as an analyst. The move then was part of a larger rebrand of the show, with the network opting not to bring back Dan Marino and Shannon Sharpe. Gonzalez said he made the decision, and cited family and travel as his main reasons. As for a replacement for Gonzalez, CBS should think seriously about moving former Raiders CEO Amy Trask onto its top show on a full-time basis. Trask has been a regular on the CBS Sports Network Sunday morning NFL pregame show, That Other Pregame Show. ESPN’s Adam Schefter reported that both Fox and CBS are interested in Cowboys quarterback Tony Romo should he retire. If Romo opted for television, it would be highly unlikely he’d be interested in a studio role at CBS over the prospect of calling games. Earlier this month, ESPN announced that Sam Ponder would serve as the new host of Sunday NFL Countdown, one of the many personnel changes for that show over the past 12 months. 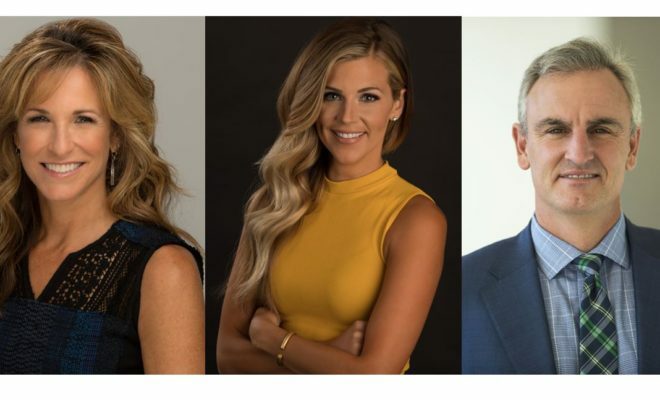 With Chris Berman moving into a new role in 2017, a trio of talented ESPN commentators –Suzy Kolber, Samantha Ponder and Trey Wingo – will assume his previous host responsibilities on ESPN’s NFL studio shows. Kolber, who has co-hosted Monday Night Countdown with Berman since 2015, will now host the entire Monday Night Football pregame show from the site of each week’s game. She will also add the MNF halftime and postgame host role to her responsibilities while continuing to anchor weekday editions of NFL Insiders from ESPN’s Bristol, Conn., studios. Kolber, who joined ESPN in 1993, was a NFL sideline reporter on both Sunday Night Football (2001-05) and Monday Night Football (2006-11), and she worked the Super Bowl XL telecast on ABC in 2006. She continues to be part of ESPN’s annual Super Bowl, NFL Draft and other year-round coverage of the league. Ponder, one of ESPN’s top college football reporters and a contributor to College GameDay since 2012, becomes the new host of Sunday NFL Countdown – just the third in the 32-year history of ESPN’s long-running Sunday morning NFL pregame show. Originally NFL GameDay, Bob Ley launched the program in 1985 before Berman assumed the role a year later, serving as host for an industry record three decades. Ponder, a versatile talent with an engaging conversational style, will also contribute NFL interviews and features. She has hosted College Football Live and served as a college football and basketball sideline reporter, most recently on ABC Saturday Night Football and including the College Football Playoff National Championship. She joined ESPN in 2011 as one of the first commentators for The Longhorn Network in Austin, Texas. Wingo will now host all three days of the annual NFL Draft telecast on ESPN, beginning with the 2017 event April 27-29 in Philadelphia. He will also continue to be the face of ESPN’s daily year-round pro football coverage on NFL Live – the show he has hosted since its inception in 2003, NFL Insiders: Sunday Edition, NFL Primetime, and more. Wingo, who joined ESPN in 1997, hosts coverage from key NFL events throughout the year, including Super Bowl, Pro Bowl and NFL Draft. Former Buffalo Bills and New York Jets head coach Rex Ryan is joining ESPN’s Sunday NFL Countdown. Starting in September, he will make weekly appearances on the NFL pregame show, while contributing to SportsCenter, ESPN Radio, and more. Ryan, who was a guest analyst during ESPN’s Postseason NFL Countdown on Super Bowl Sunday in Houston in February, will make his ESPN debut this Saturday, April 8 (3 p.m. ET, ESPN), when he calls the Florida State University Spring Game in Tallahassee, Fla.
“Rex is authentic – what you see is what you get, and that will be great for our viewers onSunday NFL Countdown. We also look forward to the insight and perspective he will bring to the show as an NFL coach who has worked in the league for two decades,” said Seth Markman, senior coordinating producer for ESPN’s NFL studio shows. Ryan served as head coach of the Bills the past two seasons (2015-16) and for the Jets from 2009-14, leading the franchise to back-to-back AFC Championship appearances. Prior to being named a head coach, Ryan spent nine seasons as an NFL assistant with the Baltimore Ravens (including 2005-08 as defensive coordinator), where he won a Super Bowl (XXXV). In 2006, Ryan was honored with Assistant Coach of the Year awards from Pro Football Weekly and the Pro Football Writers Association. Ryan, whose coaching career spans nearly 30 years, is the son of legendary NFL coach Buddy Ryan.